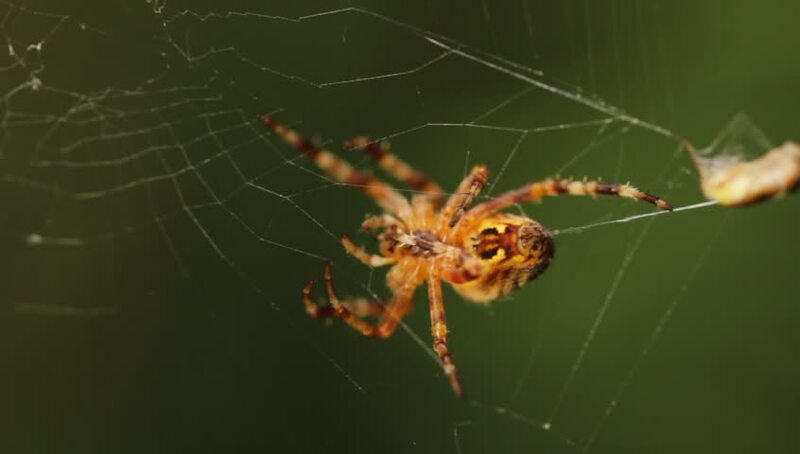 Araneidae on the web. Predator cleans legs. hd00:11Small spider eating the fly. 4k00:12An immature female Golden Silk Orbweaver (Nephila clavipes) spins her web.